Coconut water, the subtly sweet and electrolyte-filled beverage touted as nature’s energy drink, recently exploded in popularity. And it opened the floodgates: On today’s store shelves, you’ll find even more unusual specialty waters that deliver hydrating alternatives to sugary fruit juices and sodas. In addition to fewer calories, these new “waters” offer perks such as vitamins and minerals, antioxidants, electrolytes, and, notably, sustainable ingredients sourced from North America rather than Southeast Asia, where coconuts are typically harvested before they’re shipped to the United States. Check out these natural quenchers—sometimes enhanced with yummy ingredients—for unique taste and health benefits. What it is: Alkaline water is infused with trace minerals like calcium, magnesium, sodium, and potassium to elevate its pH to 9.5 (neutral is 7). Why we love it: Most American diets contain too many acid-producing animal products and insufficient alkaline-promoting fruits and vegetables. Some believe drinking alkaline water counteracts this imbalance to improve bone and muscle health. The facts: One study published in The American Journal of Clinical Nutrition found that older adults who followed an alkaline diet for three years maintained more muscle mass than the control participants. What it is: Not to be confused with almond milk, which comes from ground almonds, almond water is made with boiled sliced almonds, water, cane sugar, and almond extract. Why we love it: It’s delicious! Almond water differs from other plant-based drinks because it doesn’t claim to be uniquely functional. It’s simply a refreshing, slightly sweet sipper to enjoy alone or with meals. 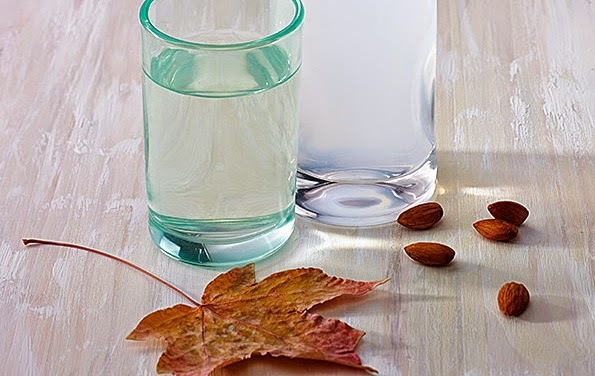 The facts: The first nationally available almond water uses a traditional French recipe from the founder’s grandmother. What it is: A whole artichoke—including the heart, stem, leaves, and flower—is extracted into a bottle using a proprietary method to retain nutrients. Why we love it: Sometimes balanced with lemon and fresh mint and packing just 40 calories per 8 ounces, artichoke water delivers liver-supporting phytonutrients like silymarin. The facts: Artichokes are typically harvested close to manufacturing facilities in California, so they boast a low carbon footprint. What it is: Juice and extract from the prickly pear cactus is blended with water and other natural ingredients such as lemon and stevia. Why we love it: Popular in Latin America, prickly pear is rich in antioxidants and carotenoids, magnesium, and vitamin C.
The facts: Southwestern folk medicine uses prickly pear cactus fruit and juice to treat maladies from diabetes to hangovers. What it is: Slightly bittersweet coconut water comes from the clear liquid found in young green coconuts. Why we love it: Touted as nature’s ultimate hydrator, coconut water contains high levels of electrolytes like potassium, magnesium, and calcium. The facts: In remote areas of the world, doctors have successfully used coconut water intravenously to rehydrate patients in emergencies. What it is: Though traditionally processed into maple syrup, maple water is the unrefined tree sap that naturally travels through maple tree trunks in the spring thaw. Why we love it: Slightly sweet and mild flavored, this refreshing beverage contains dozens of phytonutrients, including some unique to tree waters. The facts: Drinking maple water conserves American forests by providing landowners a way to monetize their forests without cutting trees down. What it is: The best melon waters contain one cold-pressed ingredient: watermelon. Why we love it: This energizing beverage is rich in anti-inflammatory antioxidants, potassium, and citrulline, a muscle-supporting amino acid—making it a fantastic sports drink. The facts: Some melon waters incorporate the watermelon rind, which contains even higher concentrations of citrulline. Cashew: the next coconut water? Usually left on the ground to rot, bright-red and yellow cashew apples are the stems left over after cashew nuts are plucked for harvest; they’re tangy, sweet, and packed with vitamin C. Now, a few large companies are putting this previously ignored resource to good use. PepsiCo India recently teamed up with the Clinton Foundation (yes, those Clintons) to collect cashew apples from a local network of small-scale farmers in India, turning the crop into a mixed-fruit drink (sold in India) and replacing more expensive ingredients like apple, pineapple, and banana. The dozen or so growers told The New York Times that this season’s cashew apple sales raised their families’ incomes by as much as 20 percent.